Underwater Balances at Lab Innovations! 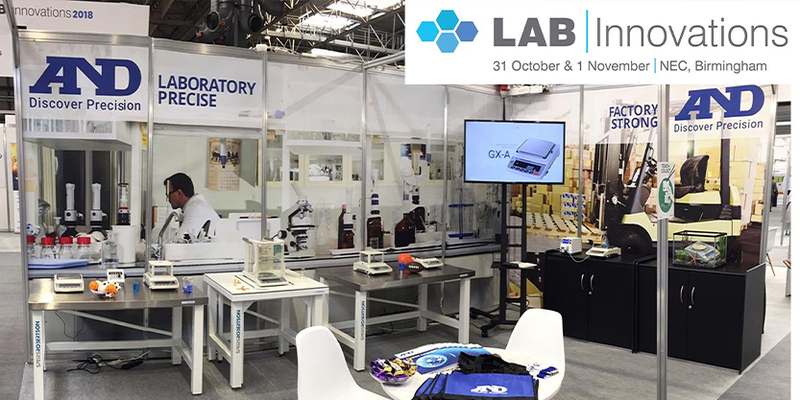 A&D created some waves at this year’s Lab Innovations event at the NEC, Birmingham with the tried and tested world’s first IP65 rated waterproof and dust proof 1mg precision balance! Showcasing a wide range, interest ramped up with visitors bouncing balls on the shock proof Apollo Multi-Functional balances and watching the FX-iWP Precision Balance in a fish tank! The World First IP65 Rated 1mg Waterproof Precision Balance! The FX-i and FZ-i Precision top pan balances provide a host of features in a compact, light weight package. The WP models add the additional feature of being IP65 Dust & Waterproof making them ideal for hostile environments. Our very own Steve Vaughan spoke to a captivated audience on A&D’s Electronically Controlled Load™ (ECL) technology. Demonstrating QuickMin-S, displaying an alert until the sample quantity reaches the value entered as the minimum weight, overcomes challenges with handling small masses.